Overcooked! 2 has officially revealed the additional content it teased last week! The Chinese New Year update is available now. Get chased through the kitchen by a dancing dragon in the trailer above. The Overcooked! 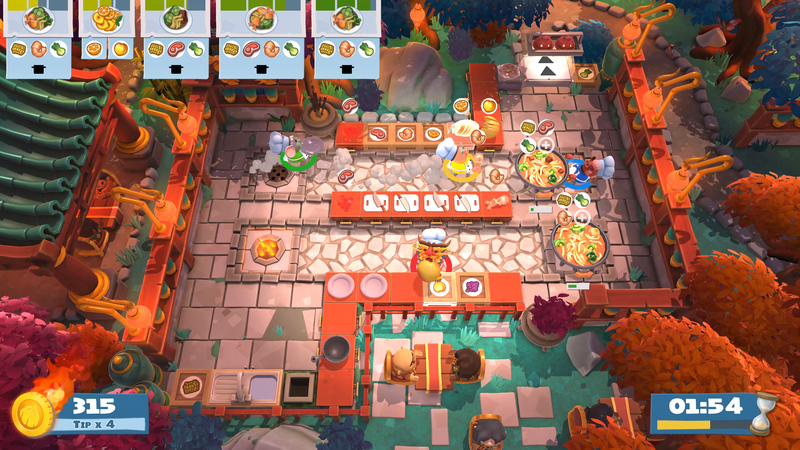 2 update adds seven new kitchens within a lush, themed overworld. Two new recipes have been added to the mix: a fruit platter and a hot pot. Both of these meals tie into the theme, as the fruit platter is “a traditional Chinese New Year dish meant to signify fullness and wealth. While the hot pot is a dish to enjoy with family and friends.” Some adorable new chefs are heading into the kitchen, including a Chinese dragon and a pig to celebrate 2019 (i.e the Year of the Boar). A brand new game mode, called Survival Mode, flips the original goal on its head. Rather than try to make as many meals as possible in a given time period, Survival Mode adds seconds to the timer with each meal you serve. Cook against the clock and survive as long as you can. Best of all, Survival Mode is available in the main campaign, the Surf ‘n’ Turf DLC, and this Chinese New Year update. In addition to this content update, Ghost Town Games also has a few bug fixes. Below is the full list of changes.